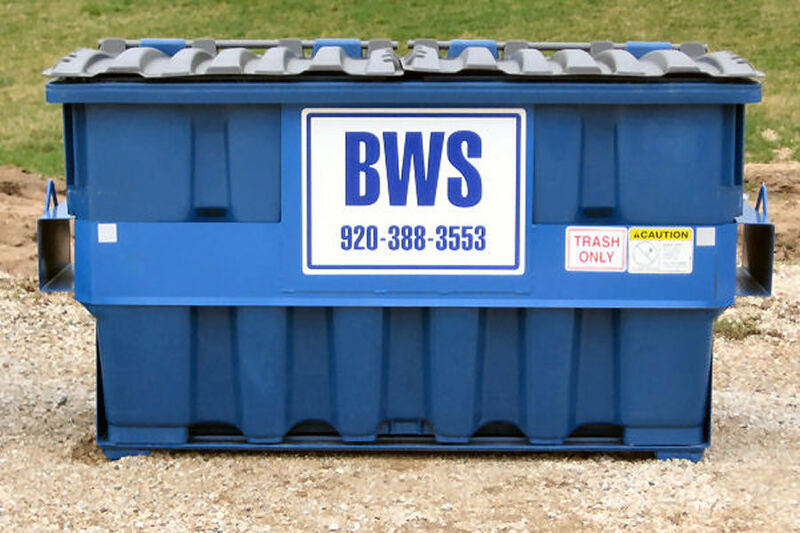 BlueWater provides dumpster rental services in Kewaunee Wisconsin. We can handle your rubbish or scrap metal hauling and disposal needs. We provide container/dumpster rentals, compactors, disposal, scrap metal and recycling services for businesses, contractors, industrial users, and home owners. We are proudly serving customers of the Brown, Door, Kewaunee, Manitowoc, Oconto, and Outagamie counties. ​Our Front Load trucks are able to handle 2 - 8 yard trash and recycle dumpsters for large and small businesses. We also offer a 6 yard open top remodel construction dumpster for smaller jobs. Call Us at 920-388-3553. Our roll off dumpsters are 12 yard, 20 yard, 30 yard and 40 yard demolition. Our trucks are tri-axle and quad-axle alike. I recently tore down my garage and had it rebuilt. I called Jon Mastalir and told him that I needed a dumpster but I wasn't sure of the size. Jon asked me a few questions about my existing garage and told me not to worry. The next day the dumpster arrived. After the removal was done, I was surprised because the dumpster was the perfect size. Thank you for your help! Dumpster Rental licensed for the State of Wisconsin, servicing Brown, Door, Kewaunee, Manitowoc, Oconto, and Outagamie counties. Others by request. ​We offer scrap metal recycling service using roll off boxes and our pay schedule is competitively priced. ​We accept cash – good check – visa and Master Card and wire transfer payments. ​Great Service - Small Town Values – Courteous Employees. See is on Facebook @ BlueWater Services.